Unique Best Amulets Collection made from Natural Wood and with Genuine Gemstones and Crystals. Size: 2 1/2 X 2 inches. Natural Wood and Gemstones makes each Amulet Unique and Holds Positive and Magic Energy. Use as Lucky Car Charm and Hang it in your Car to attract positive Energies to Gemstones from Sun and Moon. Made and Handcrafted in Holy Land, Israel - Jerusalem. 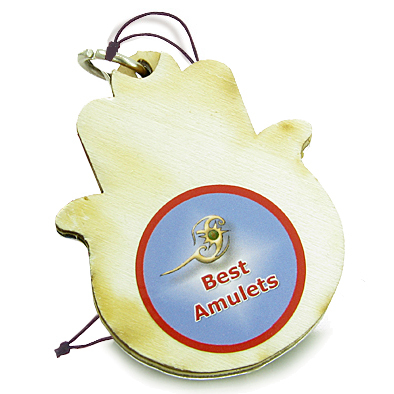 This is Absolutely Special, One of the Kind and Magic Amulets Collection. 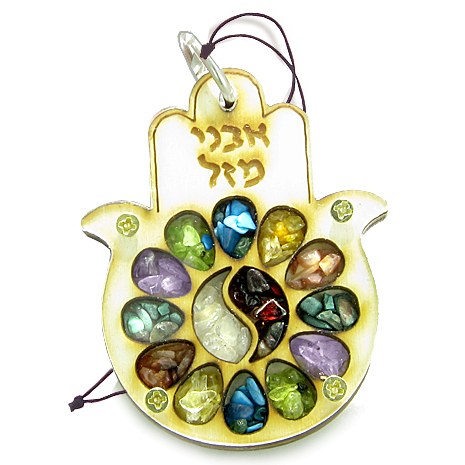 It is made in the Holy Land by Hand from Natural Wood and Holds Natural and Genuine Gemstones and Crystals. 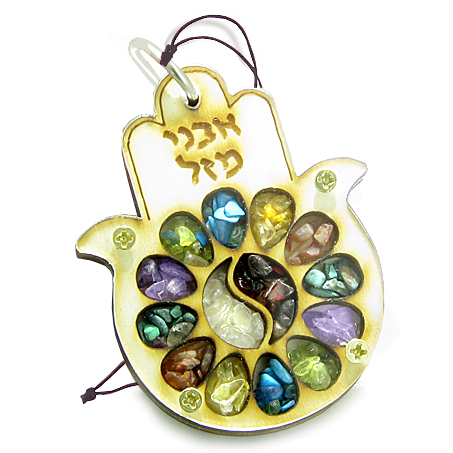 This Charm is Designed as Magic Hamsa Hand and made as Beautiful Yin Yang Balance Symbol. The Imprint means - Good Luck Powers. Natural Wood and Genuine Gemstones holds Powers of Protection, Good Luck, Prosperity, Health and Abundance. Stay Unique and Lucky with your Own Holy Land Amulet.